Combination rollator walker, raised toilet seat, toilet safety frame. 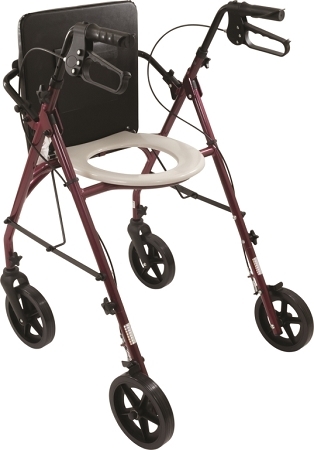 3-in-1 walking aid, raised toilet seat and toilet safety frame. 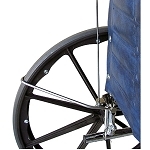 Rollator frame provides support when sitting and standing. 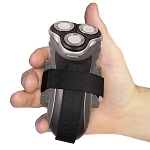 Portable, lightweight and discreet design. The Free2Go Mobility Rollator is 3 products in 1. This combination rollator walking aid, toilet safety frame and raised toilet seat provides people with limited mobility a safe way to use a toilet in any restroom. 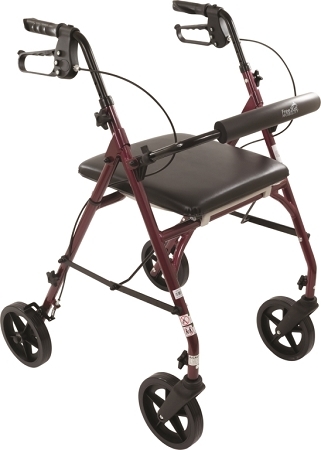 Caregivers will find this adapted rollator walker ideal for travel. 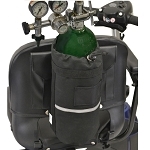 The Free2Go Mobility Rollator is easy to use. First, roll over a fixed toilet and set the brakes. Then lift the padded seat to expose the commode seat. After each use, clean the top and bottom of the commode seat with a flush-able wipe or paper product to ensure the unit is clean at all times. An easily accessible pouch for wipes is attached to the padded seat. The 8-inch flat wheels provide added stability and support. 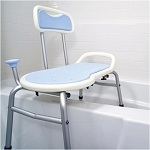 The seat measures 15 inches wide, 15-1/2 inches deep, and the toilet seat opening measures 8-1/4 inches wide, 9-1/2 inches long. 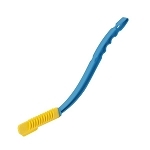 The handle height adjusts 33-1/2 to 38 inches. 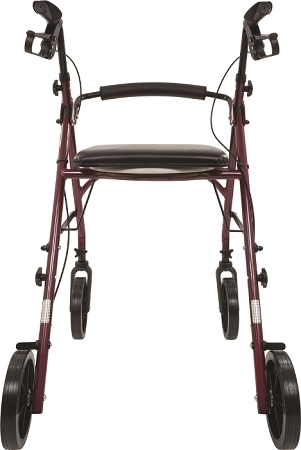 Overall the rollator measures 24 inches wide and weighs 20.2 pounds, and has a weight capacity of 300 lbs. 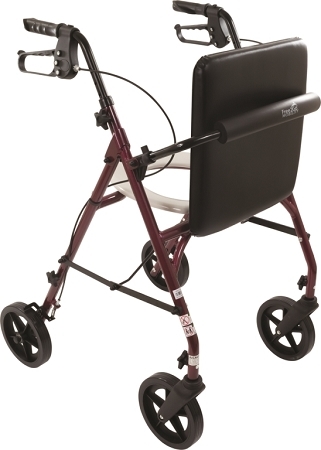 The Free2Go Rollator provides users with benefits of 3 different mobility devices in 1 item - walking aid, raised toilet seat and toilet safety frame. Seat Measurements: 15 inches wide, 15-1/2 inches deep. 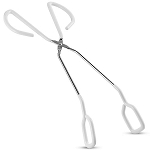 Adjustable Handle Height: 33-1/2 to 38 inches. Seat-to-Floor Height: 22-1/4 inches measures to the top of toilet seat.